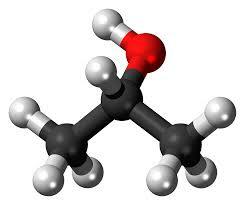 Calling all Organic Chem geeks…name this structure? It treats nausea! It is a colorless, flammable chemical compound with a strong odor. It is a secondary alcohol. Isopropyl Alcohol – Inhalation of Isopropyl Alcohol Alleviates Nausea in ED Patients! Well thats simple, many people have these laying around. Dr. Diana Egerton-Warburton and her team performed a Randomized Controlled Trial Comparing Ondansetron (Zofran), Metoclopramide (Reglan) and Placebo. They discovered a reductions in nausea severity for patients in the emergency room with nausea and vomiting, when compared to 4 mg IV ondansetron (Zofran), 20 mg IV metoclopramide (Reglan) and placebo. 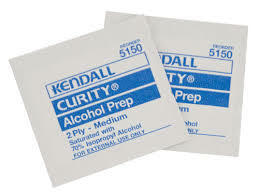 So before you reach for ondansetron (Zofran) or metoclopramide (Reglan)…try the alcohol wipes! Study objective: We compare efﬁcacy of ondansetron and metoclopramide with placebo for adults with undifferentiated emergency department (ED) nausea and vomiting. Methods: A prospective, randomized, double-blind, placebo-controlled trial was conducted in 2 metropolitan EDs in Melbourne, Australia. Eligible patients with ED nausea and vomiting were randomized to receive 4 mg intravenous ondansetron, 20 mg intravenous metoclopramide, or saline solution placebo. Primary outcome was mean change in visual analog scale (VAS) rating of nausea severity from enrollment to 30 minutes after study drug administration. Secondary outcomes included patient satisfaction, need for rescue antiemetic treatment, and adverse events. Results: Of 270 recruited patients, 258 (95.6%) were available for analysis. Of these patients, 87 (33.7%) received ondansetron; 88 (34.1%), metoclopramide; and 83 (32.2%), placebo. Baseline characteristics between treatment groups and recruitment site were similar. Mean decrease in VAS score was 27 mm (95% conﬁdence interval [CI] 22 to 33 mm) for ondansetron, 28 mm (95% CI 22 to 34 mm) for metoclopramide, and 23 mm (95% CI 16 to 30 mm) for placebo. Satisfaction with treatment was reported by 54.1% (95% CI 43.5% to 64.5%), 61.6% (95% CI 51.0% to 71.4%), and 59.5% (95% CI 48.4% to 69.9%) for ondansetron, metoclopramide, and placebo, respectively; rescue medication was required by 34.5% (95% CI 25.0% to 45.1%), 17.9% (95% CI 10.8% to 27.2%), and 36.3% (95% CI 26.3% to 47.2%), respectively. Nine minor adverse events were reported. Is Hookah smoking really safer?